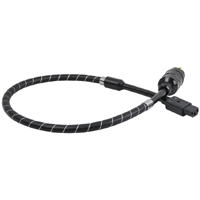 Power cable with symmetrical structure consisting of 2 veins, each of which has the 13 polished silver wires Ø 0.32 with 99.999 (5 N) standard in the Teflon insulation and air space geometrically created as a result of belting with Teflon PTFE tape. From the copper twisted-pair cable a ground wire is the third vein. High degree of EMC protecting from the RF and EM interference obtained using double-shielding, which is covered with a braided copper plated with silver plated OFC/Ag and a very tight chrome-nickel braid Cr/Ni. 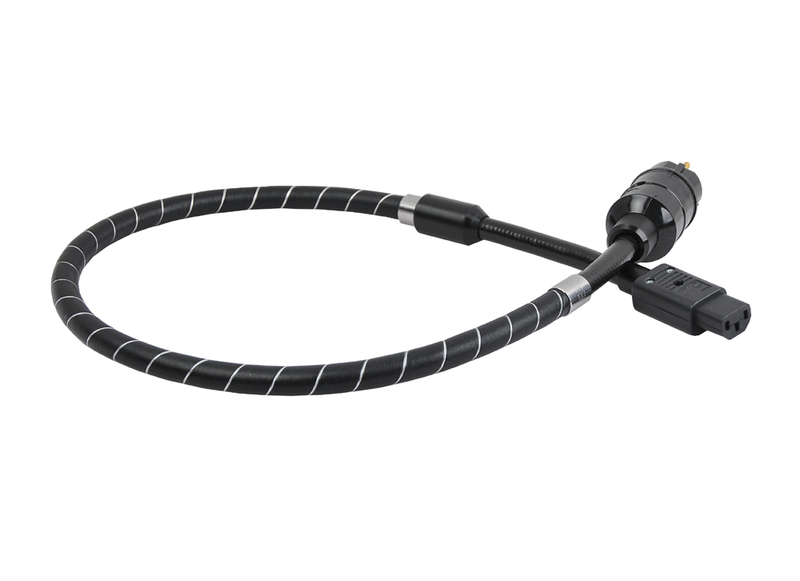 In order to achieve a high degree of reliability of the connection cable is packed with solid plug with brass contact elements covered with 24-carat gold. Connections are made Argentum alloy (Sn/Ag 8% silver). 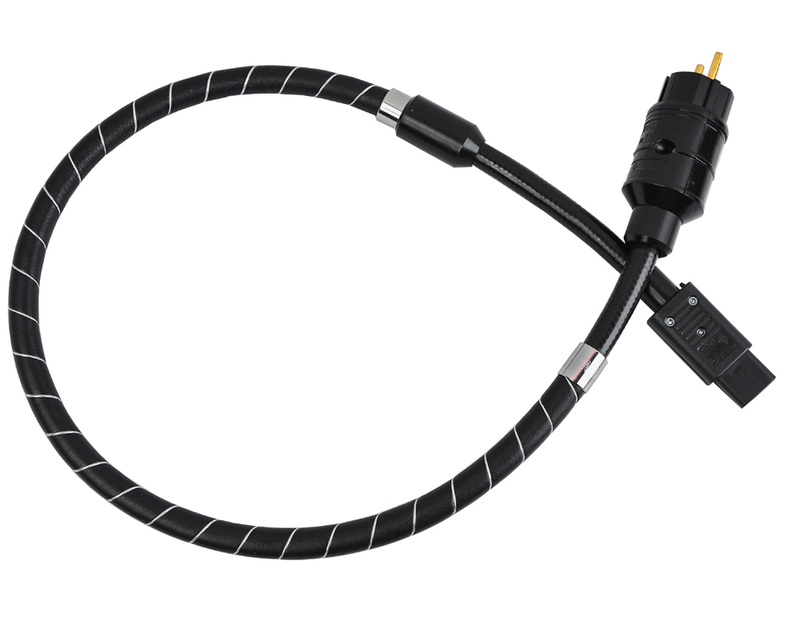 In order to reduce high frequency interference the cable has a ferrite ring (filter). The outer shell is natural black leather belted silver tinsel. 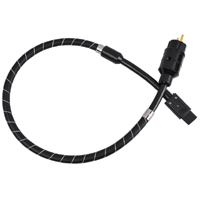 The power cable is designed to power the audio-video system.